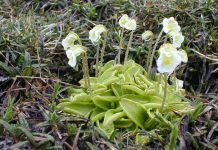 Functional–structural plant models (FSPMs) explicitly describe individual plant architecture, making this approach suitable for unravelling plant–plant interactions in complex canopies. Barillot et al. 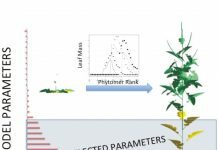 developed a comprehensive FSPM accounting for the interactions between plant architecture, light, soil nitrogen and the metabolism of carbon and nitrogen. The model is evaluated by simulating the functioning of post-anthesis wheat canopies (Triticum aestivum) of contrasting leaf inclination, arranged in pure and mixed stands. As an emergent property of the detailed metabolism, the model predicts single relationships between absorbed light, carbon assimilation and grain mass. 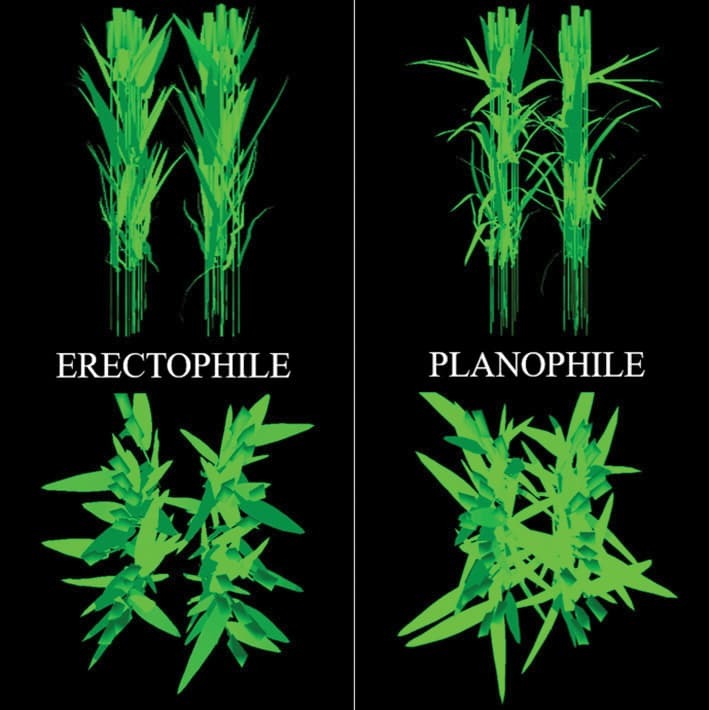 Over the post-anthesis period, planophile plants absorb more light than erectophile plants, resulting in a slightly higher grain mass. 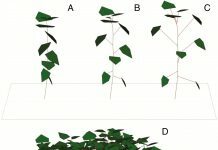 By providing access to critical variables such as resource acquisition, internal metabolic concentrations, leaf life span and grain filling, the behaviour of complex canopies could be modelled. Previous articlePresenting a poster at a conference? 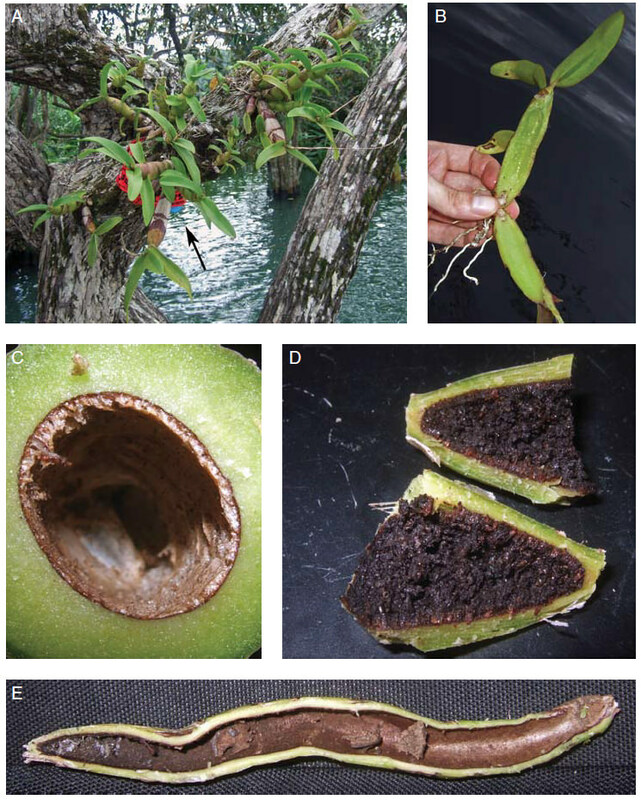 Why is one orchid so happy to cater for ants?